So you’re ready to hit the road in style. Buying a fifth wheel brings your home with you. If you’re in the market for a unit you’ll need to check out a few things. Do thorough research to make a smart investment. Purchasing a fifth wheel is no small buy so you’ll need to take the unit through its paces to ensure that you’re spending your money wisely. Hook up water to your fifth wheel to do a thorough check of the plumbing. You need to know everything is working properly on the water side of things before you can go ahead with the purchase. Look for leaks around the toilet and anywhere else water flows inside the compartment. Older fifth wheels are apt to leak. Running a test can help you decide if the fifth wheel needs work or if you can buy it as is. The unit should also be treated properly to withstand cold, hard winters. Check underneath it for leaks which may have been caused by poor winterizing. 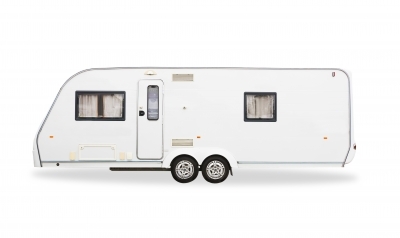 Get a feel for life within the unit before you decide to buy a fifth wheel. Spend at least one night in the trailer to see what life is like. You can do this at the RV dealer’s site. Since most dealers will readily accommodate your wish this is the simplest way to test out the trailer. Live in it. You can spot issues within hours after using the toilet, sink and checking out the lighting. Simulate an average night spent in the fifth wheel by doing whatever you’d do during a trip. Were you able to sleep easily? How did you feel after spending a night? Answer these questions honestly before making a large investment in a unit. Since you’re apt to travel through different climates the heating and cooling systems need to work well. You must be able to weather both hot and cold temperature extremes. If you’re suffering through intense heat in a humid environment a single rooftop air conditioning unit won’t cut it. Search around the unit for air vents. Seeing vents is usually indicative of both central heating and central air but you’d want to check with the dealer to verify if this is the case. Take the fifth wheel through its paces by blasting both the cooling and heating systems to observe how quickly the environment heats and cools. If you plan to spend weeks, months or even years in this unit you better be sure the AC and heating systems work effectively. Be safe. Check the tires on the unit to minimize the risk of suffering through an accident. Bald tires can lead to blowouts or spin outs quite easily in such a large unit. Note that observing the tread along doesn’t guarantee that you’ll avoid a blowout. Tires break down from the inside out. If the tire is over 5 years old scrap them. Replace with new tires to be safe. Click the following link for fifth wheels for sale in Texas.